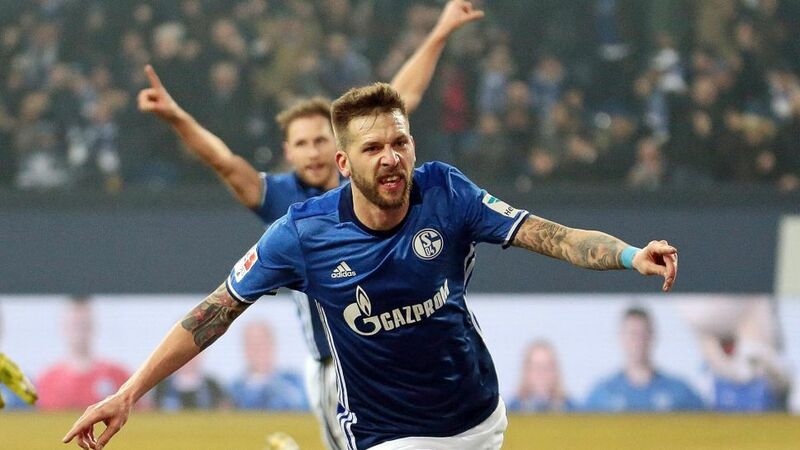 Goals from Guido Burgstaller and Leon Goretzka put Hertha Berlin to the sword as FC Schalke 04 climbed two places with a 2-0 win at the Veltins-Arena. Salomon Kalou screwed a shot high and wide early on, but the rest of the first half belonged to Schalke. Goretzka's distance effort hit the right-hand post and he was then denied by Rune Jarstein as the hosts controlled proceedings. Guido Burgstaller then dragged a shot inches wide of the far post, although he made no mistake with his next chance, threading his shot through Jarstein's legs from Nabil Bentaleb's chip. Burgstaller missed a good early opportunity to double the hosts' lead in the second half, but a second Schalke strike soon followed with Goretzka leading the ball forward, skipping past his marker and flashing an unstoppable shot past Jarstein. Vedad Ibisevic and Peter Pekarik wasted chances to re-open the match, but Schalke held on comfortably to victory. Leon Goretzka drew groans for an uncharacteristically loose final ball as Schalke pushed forward, but he put his head down and won back possession immediately, launching the next attack which saw Burgstaller open the scoring. His commitment and effort was second to none and he got his reward with Schalke's second showcasing his outstanding talent. Hertha's defeat meant that four of the top six sides were beaten on Saturday. Only league leaders FC Bayern München picked up all three points, with TSG 1899 Hoffenheim standing to benefit by beating VfL Wolfsburg on Sunday. Click here for the Schalke-Hertha Match Centre!